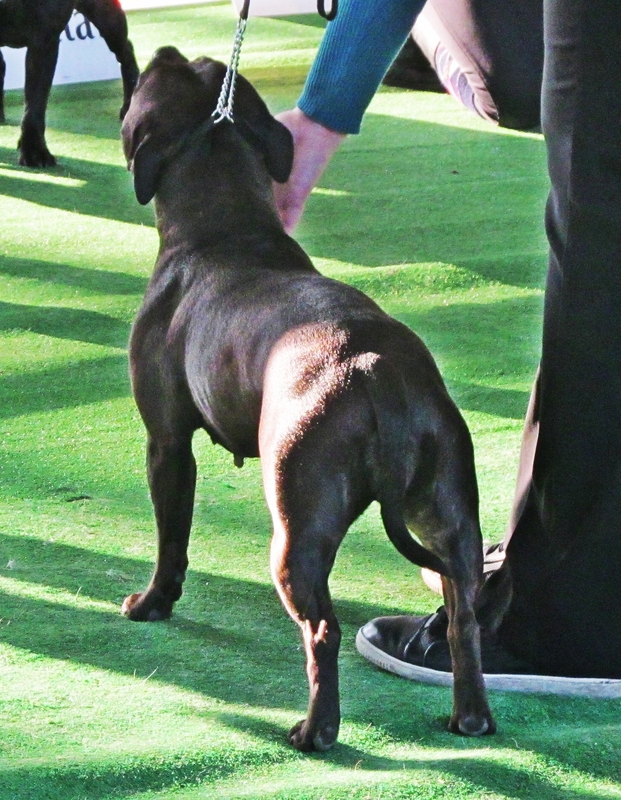 Our first show in champion class – polish judge Andrzej Jendrasiak, one of the first breeders of staffie in Poland, owner of Sirius kennel. Honey got excellent note, 1st place and CAC. Critique: “good type, feminine, nice feminine head, excellent stop, nice distance between eyes, proportional bones, enough angulation, nice movement”.